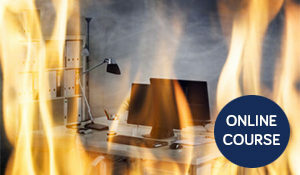 The NEBOSH National General Certificate in Occupational Health and Safety online course provides an extensive knowledge of the health and safety issues that generally affect all types of organisations, and prepares companies to legally and efficiently manage risks. This National General Certificate online course is designed for anyone who deals with the application of health and safety within their workplace. it’s also useful for supervisors and managers wishing to advance to the NEBOSH National Diploma, and members of staff who lack a broader knowledge of health and safety. NEBOSH not only accredits bodies such as the Institute of Occupational Safety and Health (IOSH), but successfully passing this course will also enable you to become a member of IOSH up to technician level. 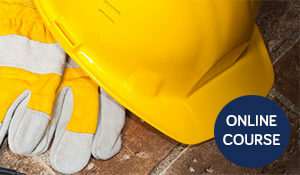 The NEBOSH National General Certificate online course is separated into three units. The assessment is carried out by two written tests – for NGC1 and GC2 – and a work-based practical examination for GC3. All three units must be finished within five years to receive the full qualification. 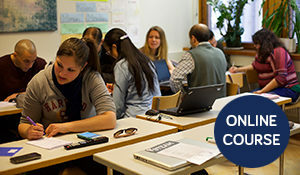 Examinations for this qualification take place in March, June, September and December. Exams can be booked at SAMS offices, or we can recommend other venues across the UK. E-Learning is an ideal approach to learning for those that do not have the time, opportunity or availability to attend a course taught in a classroom. Our NEBOSH General Certificate online course is simple to access, and easy to follow. This helps candidates to learn as much as they can without losing interest or becoming confused. Our E-Learning course costs £400+ VAT. Our NEBOSH National General Certificate classroom training promotes a safer work environment, helping to protect all employees from injuries, loss of life and everything in between. NEBOSH NGC trained employees have a comprehensive knowledge and understanding of health and safety, including how to implement strategies to minimise risks. These employees will also understand how to help their employer avoid prosecution, absence costs, litigation and loss of reputation throughout their operations. When you’ve passed this course, you will have a good base set of practical skills that will bring valued experience to any workplace. Here at SAMS we can provide you with a high level of training from our industry experienced tutors, so you can put all you have learnt straight into practice when you return to your workplace. Our assessors will tailor the course to your business’ needs, by finding out what it is exactly you require from the course to implement within your company. Our NEBOSH course is based at our fully-equipped Kent training centre, with refreshments and lunch provided. We also offer in-house training here at SAMS at a venue of our clients choosing, in addition to our own bespoke training centre.